With pharmaceutical research, funding and profits hitting the headlines daily, it's easy to focus on the what these drugs cure and forget about what goes on behind the scenes to test a drug before it can even go on the market. The cost of clinical trials is a huge expense for the pharmaceutical industry which starts in laboratory and only at the final stages is tested on humans. The human testing phase can make or break a drug which could see millions of pounds of investment come to nothing. With as many as 30% of subjects on phase three clinical trial studies dropping out, pharmaceutical companies are continually looking at ways to improve their clinical testing results. Gruelling schedules, high travel costs and the time waiting for expense reimbursement can all be factors in these dropout rates, and this can be very problematic, delaying or even leading to the cancellation of the trial. The clinical research phase of drug testing is highly focused on patient safety and is managed by third party organisations called Contract Research Organisations (CRO) who are hired by the pharmaceutical companies funding the research to oversee the trial in minute detail. The CROs often provide laboratory services and materials to research centres, but as objective third parties, their most important function is preserving subject safety. For the patients involved, clinical trials can be a long and gruelling road with some trials taking more than a year and involving travel to numerous cities. This can be disruptive for the subjects to say the least! Clinical testing has been compared to a small military operation, with numerous moving parts and with the CROs thinking two steps ahead at all times. If a subject lives in Aberdeen and needs to undergo the trial at a hospital in London how are they getting there, where are they staying, is the hotel close to the hospital, how are they getting from the airport to the hotel, do they need certain medications? Air travel can be unnerving for subjects who require specialist care and assistance including wheelchairs and access to oxygen, or they simply just hate flying. During the human phases of clinical trials you are taking people out of their comfort zone and into a stressful, brittle environment because nobody knows if they are getting the actual drug or a placebo. Take into account that trails may last one or two years, or in some cases longer, it must seem like an eternity travelling around the country going from test site to test site and disrupting normal family life. If the subject should suddenly drop out of the project after having already consumed a hefty investment of time, money and research and CROs could then face the threat of starting over again with a fresh subject, if the dropout rate is high enough a setback like this could be another 2 years of research. This is why an increasing amount of CROs are looking at bespoke options for the patients travel management. 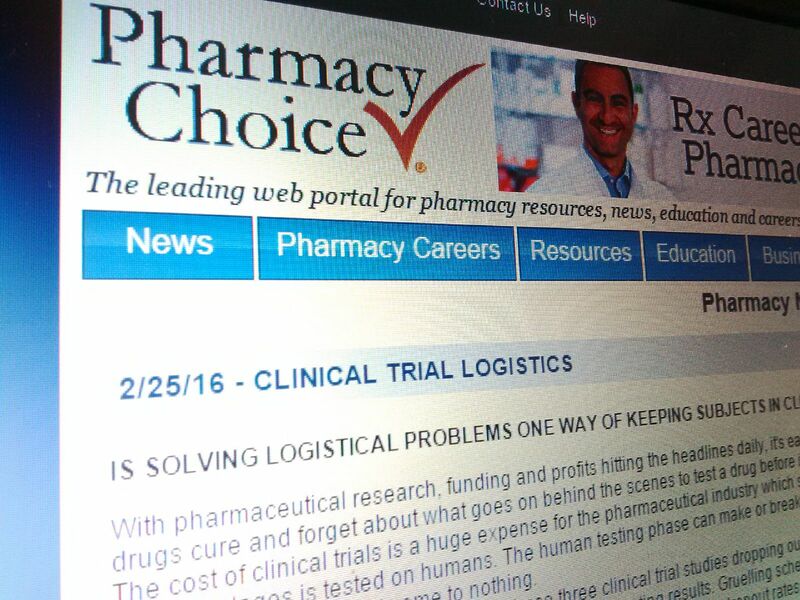 In any clinical study, control is key, which means managing the travel, logistics and administration aspects of clinical trials. Confidentiality is absolutely vital, both for patient travel and for managing expenses. Only by ensuring that the right people see the right details can you protect the trial's integrity and the patient's privacy. Outsourcing travel and expense management for clinical trials can significantly reduce administration and stress while proving to be extremely cost effective. Confidentiality rules and regulations as stipulated by regulatory bodies such as the FDA, EMA and MHRA means that the Sponsor can't know any specific patient information, which in the past made making travel arrangements for the subjects extremely awkward. Scottish based, EQ Travel, a travel management company specialising in Clinical Trial travel has come up with a solution for this by creating assigning codes for the subject and the study in place of their personal information, so travel could be organised on their behalf. Because the bills are sent direct to the travel management company, EQ Travel is able to desensitize them and charge them back to the Sponsor. The Sponsor gets to see patient IDs, dates of travel, dates of booking, types of travel and cost - but no specifics. This level of reporting means the Sponsors retain control of expenditure by setting limits on the maximum permitted spend and matching the patient travel dates to dates that clinic visits were scheduled. This takes a lot of the administrative duties away from Clinical Research Organizations (CRO) who ultimately are medical staff not administrators. Franc Jeffrey from EQ Travel commented "Our service is operated with preapproved travel and expense guidelines which are agreed with sponsor ahead of service beginning. The policy ensures that the Institutional Review Boards (IRBs), Independent Ethics Committee (IECs) and the Ethical Review Boards (ERBs) are satisfied that subjects are not being enticed to use the service"
"We have safeguards in place to guarantee that there is no leaking of personal information, all billing, reimbursement and reservations are done through EQ Travel, this is then desensitised and reported back to the sponsor who can only see the subjects' ID number, dates of travel, type of travel and costs. We have a three stage manual process to ensure this is done without comprising any information." The benefits of using an outsourced travel service during this phase of a clinical trial are numerous. Ultimately, the CRO will have a greatly reduced amount of administrative tasks, taking away the hassle of coordinating subjects, organizing travel and reimbursing expenses. Additionally, improved budget control and cost savings can help the client reduce expenditure through effective planning. Ensuring the smooth running of the travel arrangements of a trial can lead to study continuity with reduced risk of missed appointment visits or subjects leaving a study early. Additionally, improved budget control and cost saving can help the sponsor to reduce expenditure through providing a study schedule that ensures travel can be effectively planned in advance. In turn this ensures smooth travel arrangements, which leads to improved continuity in studies, happier and motivated subjects and a reduced risk of missed appointments or visits or subjects leaving the study early, which are both an inconvenience and an expense to the sponsor.